Mmmmmmm, yukke. 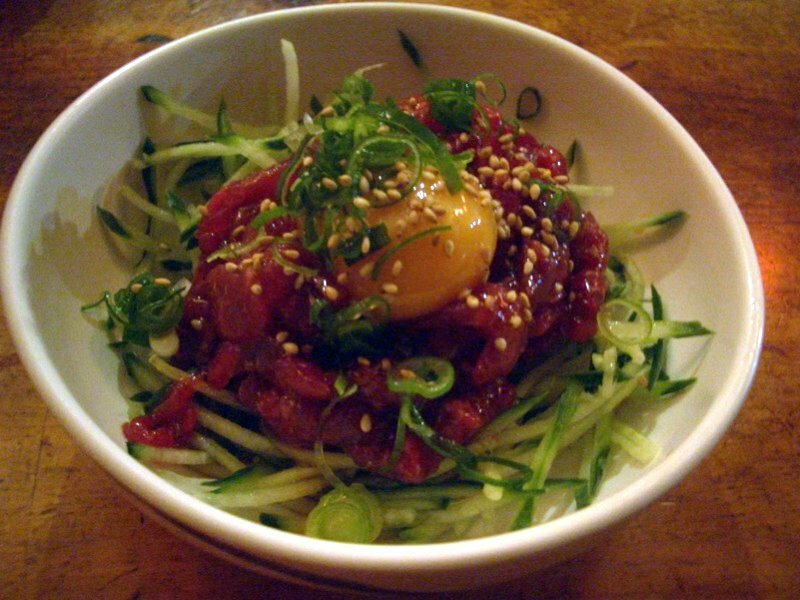 Raw ground beef with a seasoning typically containing soy sauce, sugar, salt, sesame oil, spring onion, garlic, sesame seeds, black pepper and bae (pear) juice, topped with a raw egg yolk. 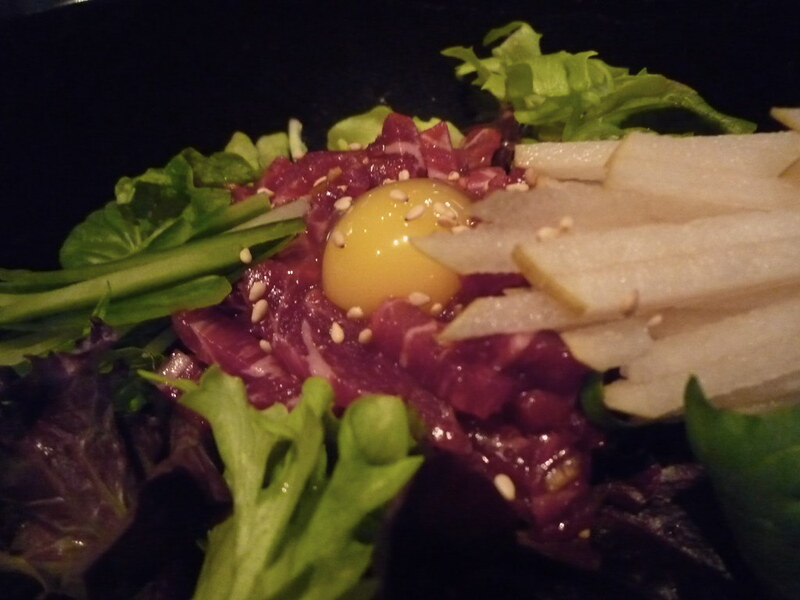 Much like its European counterpart, steak tartare, I find it nigh-impossible to NOT order yukke/yukhoe whenever I see it on the menu in a Japanese/Korean restaurant. Earlier this year I started out wanting to do an extended post searching for Melbourne's best yukke, but then the post started morphing into a Melbourne Gastronome guide to Melbourne's recent izakaya invasion. I've been saving up these photos for several months, so imagine my dismay when I opened the Epicure a few weeks ago to find this article on that very topic! 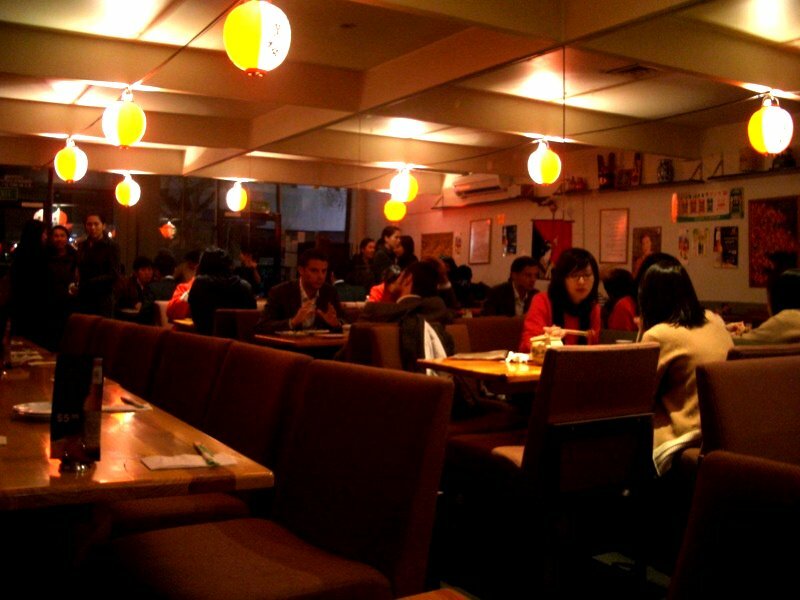 The following six izakayas are in chronological order of visits. They're also in ascending order of trendiness! Ah, ol' faithful. 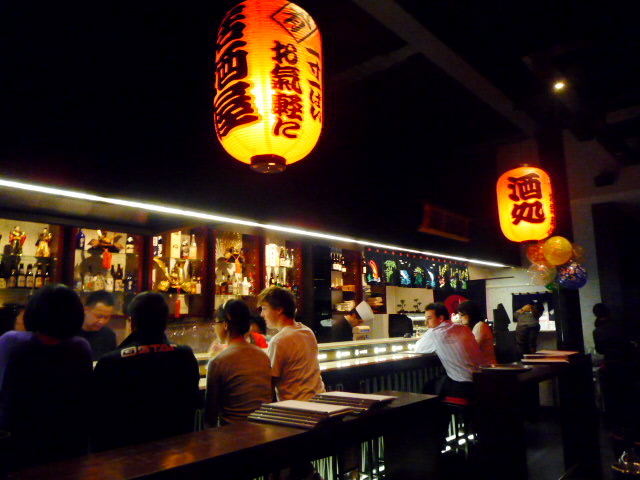 Izakaya Chuji is Melbourne's oldest izakaya, open since 1989. 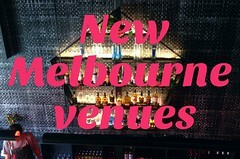 It's on Lonsdale Street, much frequented by students, no frills and cheap as chips. $8 yukke. 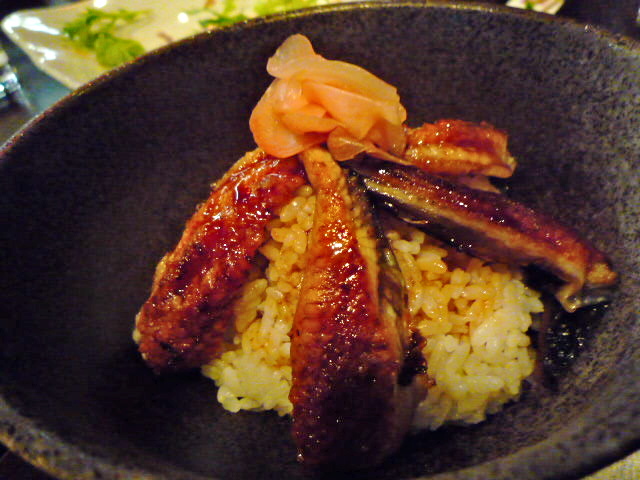 My second-favourite izakaya dish, unadon (grilled eel on rice with kabayaki sauce), is $16 and pretty generous with the eel. 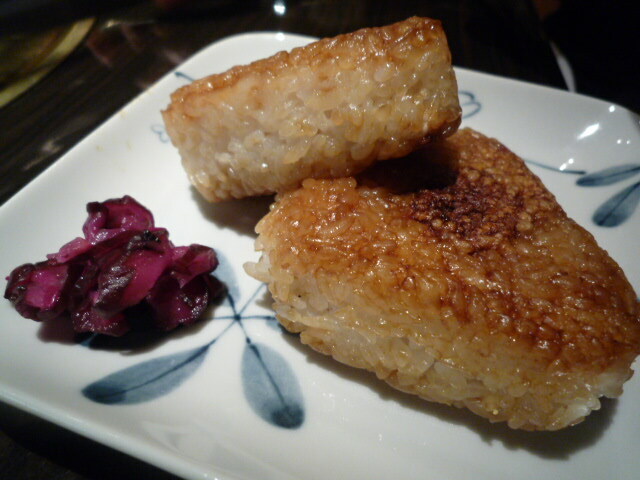 The miso-smeared nasu dengaku comes as a single piece, for $7. Nothing fancy, but generally pretty good. 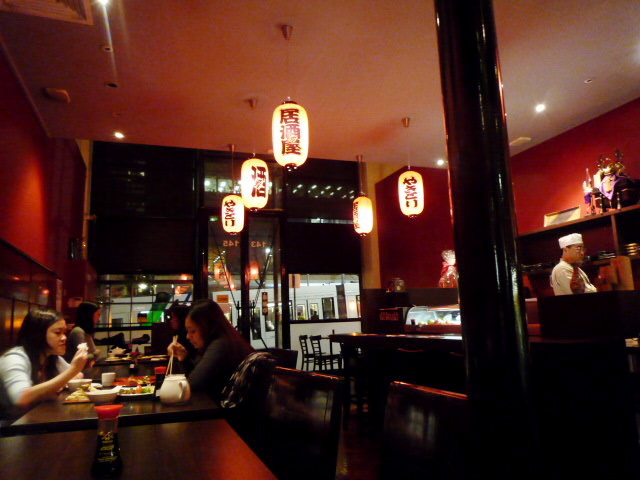 Less impressive is relative newcomer Izakaya Hachibeh, on Bourke Street. The $9 yukke was on the sloppy side and $17 unadon was bland. Can't say I'm in a rush to go back. 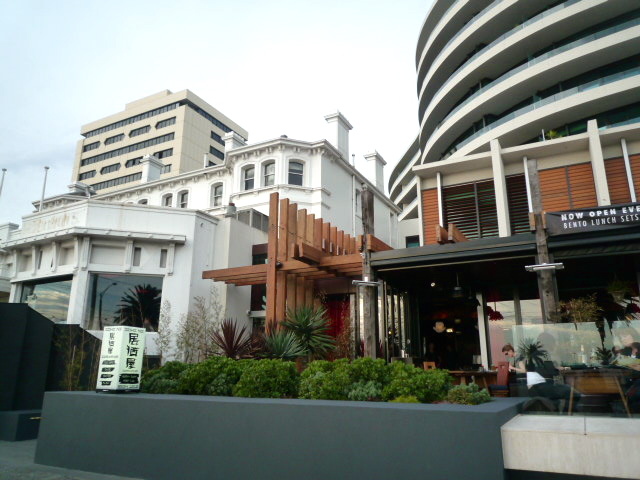 I much prefer the J-Pub Shogun, which is on Lonsdale Street at the end of the Camy laneway. 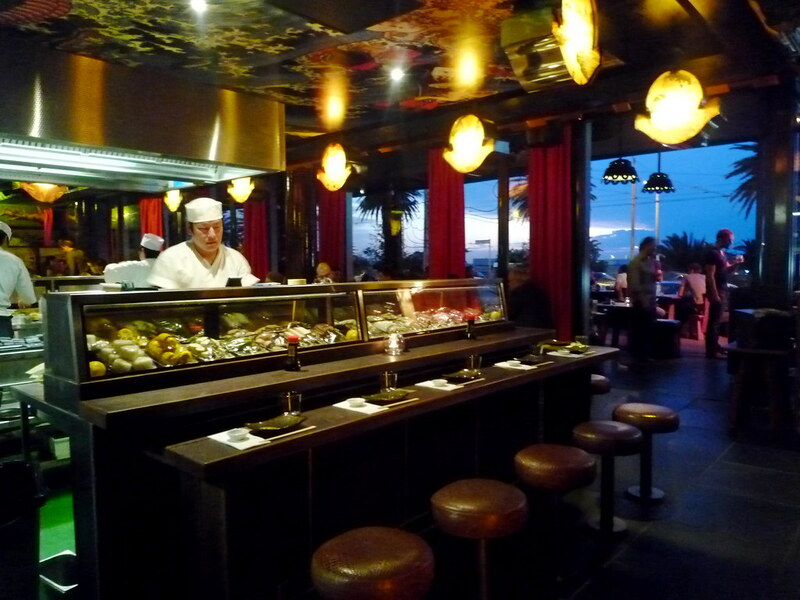 It has Japanese beers on tap, as well as sake and shochu, and specialises in yakitori. 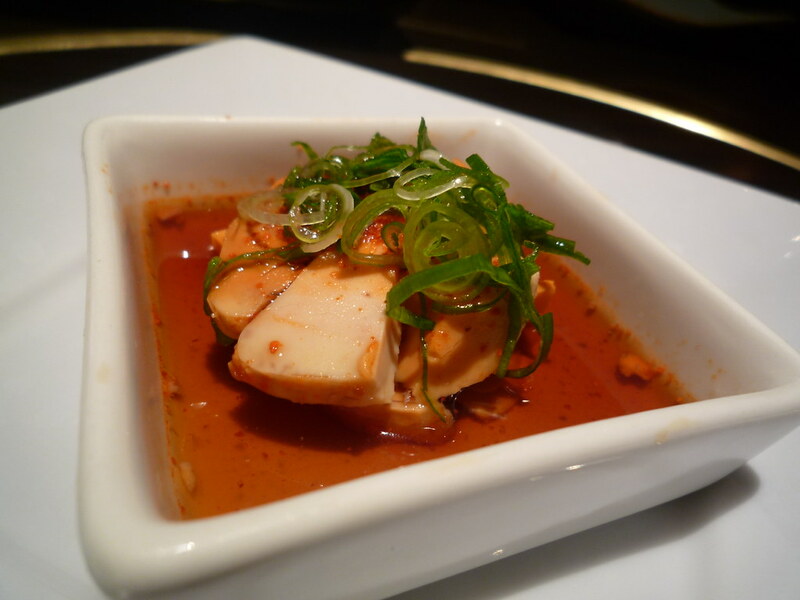 Despite its very informal atmosphere, it has some rather interesting dishes on its dinner menu. 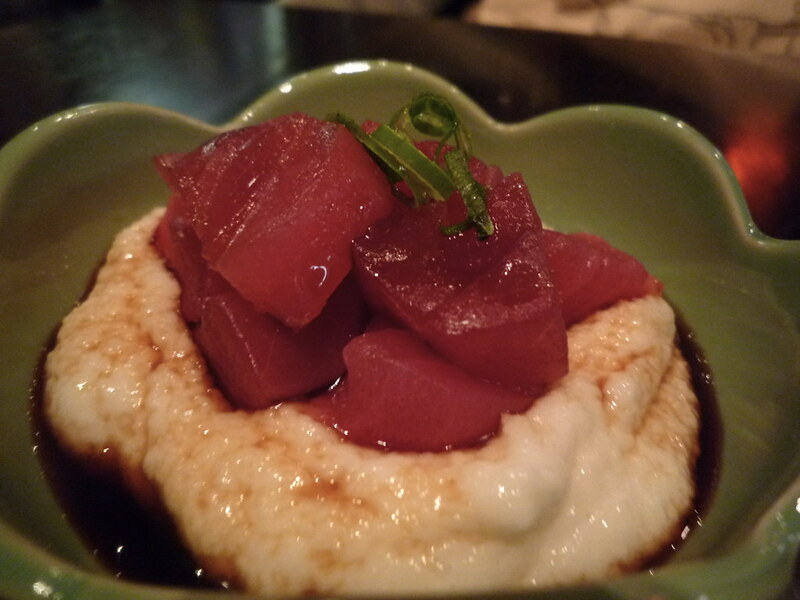 I was very taken with the maguro yamakake ($12), for example: tuna sashimi sitting on a soft sticky pillow of Japanese yam. 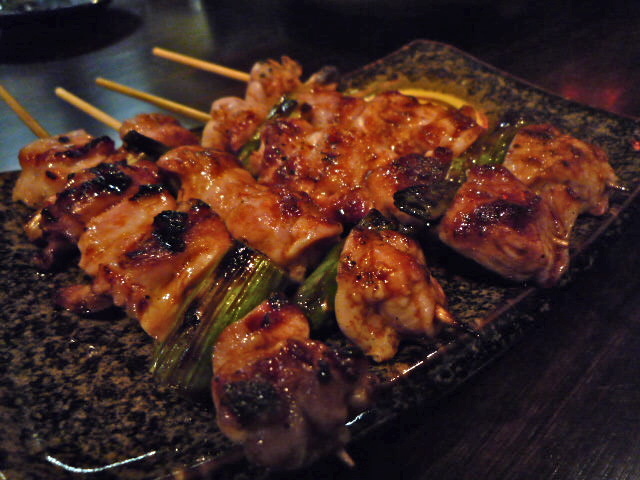 The negima skewers alternated pieces of chicken thigh with spring onion ($6). 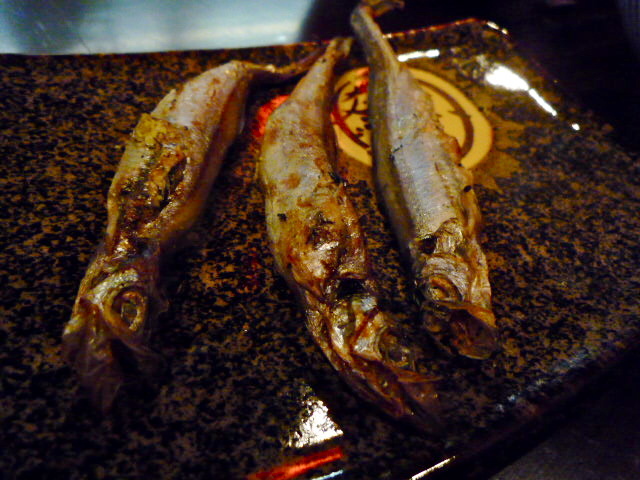 We also loved these whole grilled shishamo ($6). It was hard to find the yukke amongst all the salad leaves. 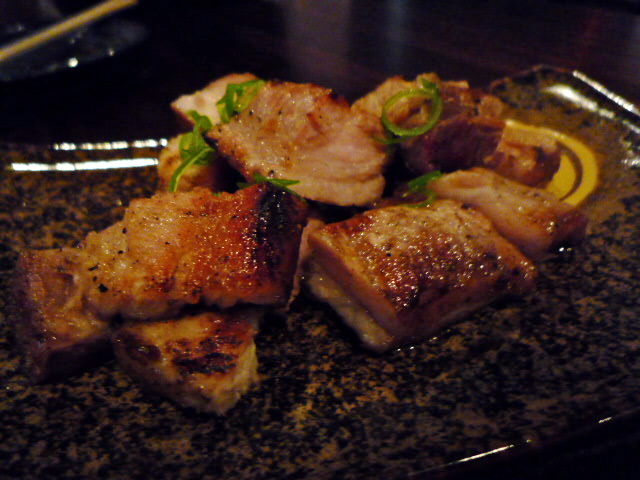 Tasty buta rib (pork spare rib) for $6. 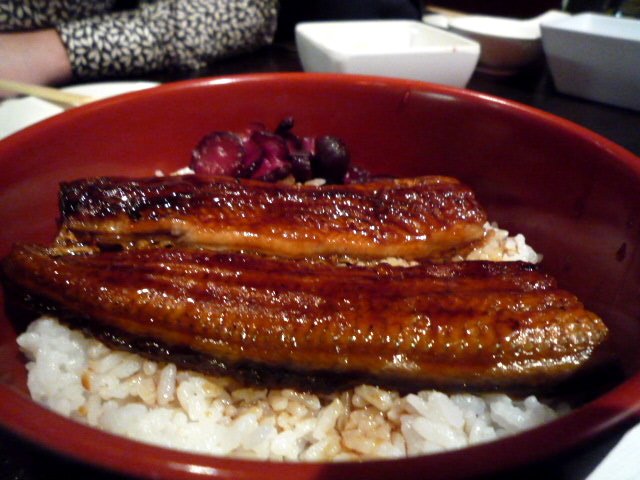 The unagi don was $14.50. I'm cheating a bit by putting Takumi in this list, as it's not really an izakaya - more a restaurant specialising in wagyu on grill-your-own ‘smokeless’ sumibi yakiniku (charcoal grills). 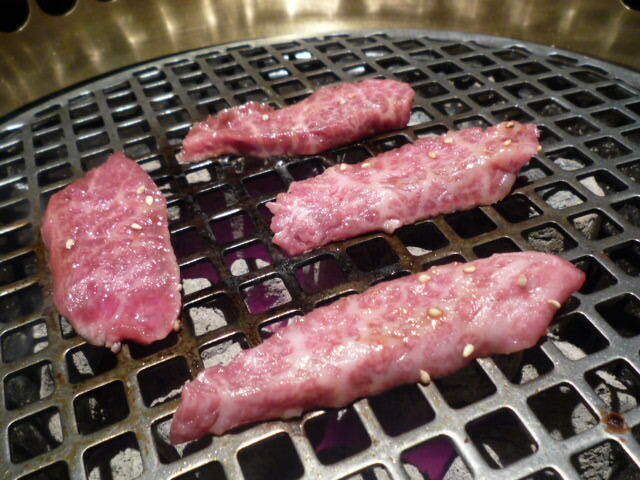 When I went there in July, we selected the Jo-Karubi cut of meat (premium oyster blade, 100g) for $16.50. We also grilled squid and vegetables - I wish though that they'd serve up mixed mushrooms to grill in foil packets, like the ones at Gyu-Kaku, the yakiniku restaurant best-friend-K and I visited in Manhattan! The menu at Takumi is somewhat more refined. 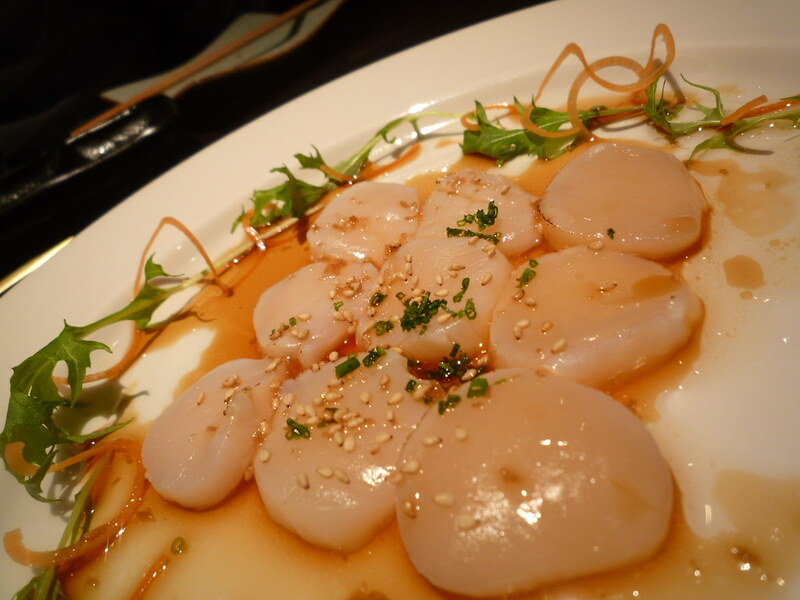 Take for example the delicious scallop sashimi, drizzled with sizzling oil and citrus soy sauce ($12.80). We were sufficiently intrigued by the description of the ankimo (angler fish liver pate, $8.80) to order it. Liked the paste-like texture. We also yummed up a couple of yaki-onigiri ($4.80 for a serve of two). 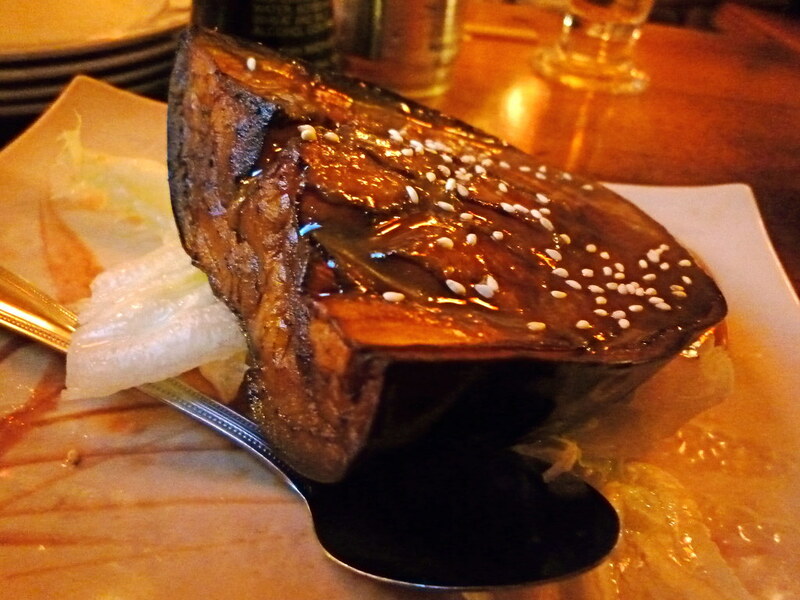 At Takumi, the yukke is made with marbled wagyu and a red and green apple sauce. $10.80 and worth every penny. 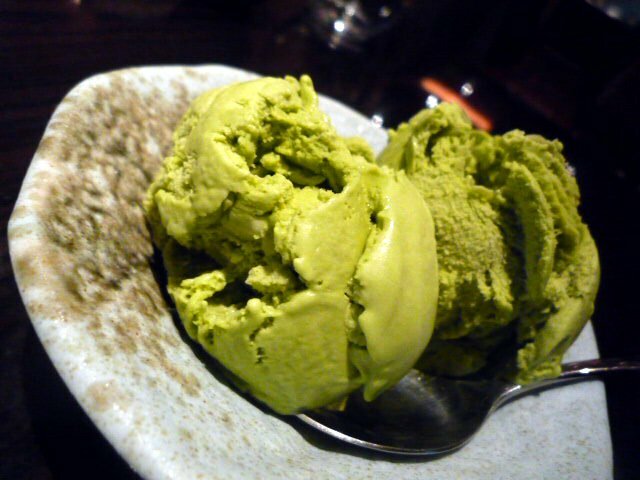 Oh, and I don't tend to go for Japanese desserts, but we liked the maccha (green tea) ice cream and the goma (black sesame) pudding and ice cream (each dish $4.80). 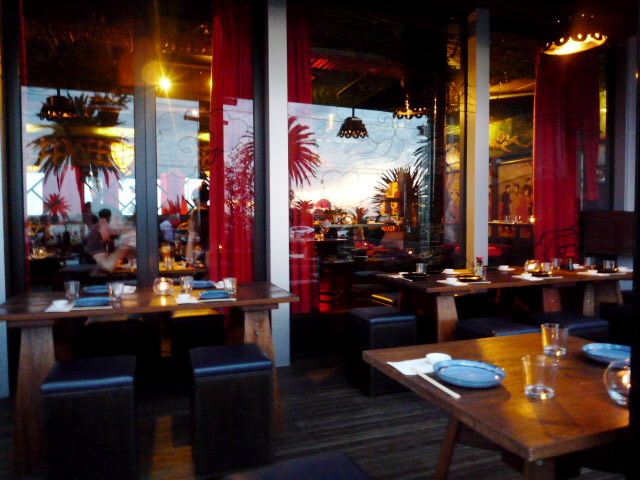 Ichi Ni (translation: "one two") is down in St Kilda, next door to the Espy. Open since March. 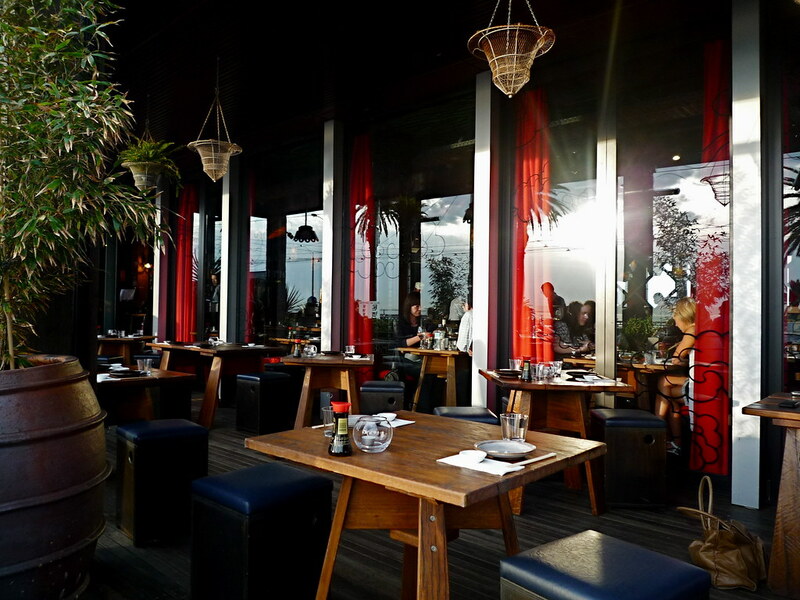 I like the Japanese tavern fitout, seaside location and pub-like ambiance. Alas, no yukke on the menu. After the obligatory edamame, we decided to order a selection of yakitori skewers: shitake ($6), unagi ($8), tsukune (minced chicken, $7) and okra ($6). Nice sticky sauce. The shitake were particularly memorable. 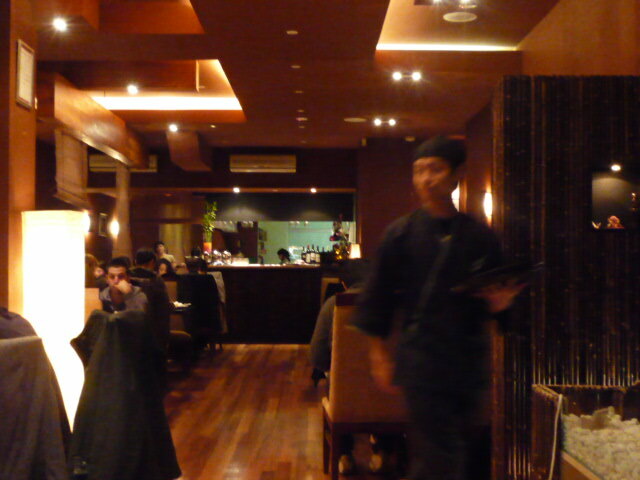 We were however unimpressed by the vegetable tempura served with Ichi Ni original tartare ($10). 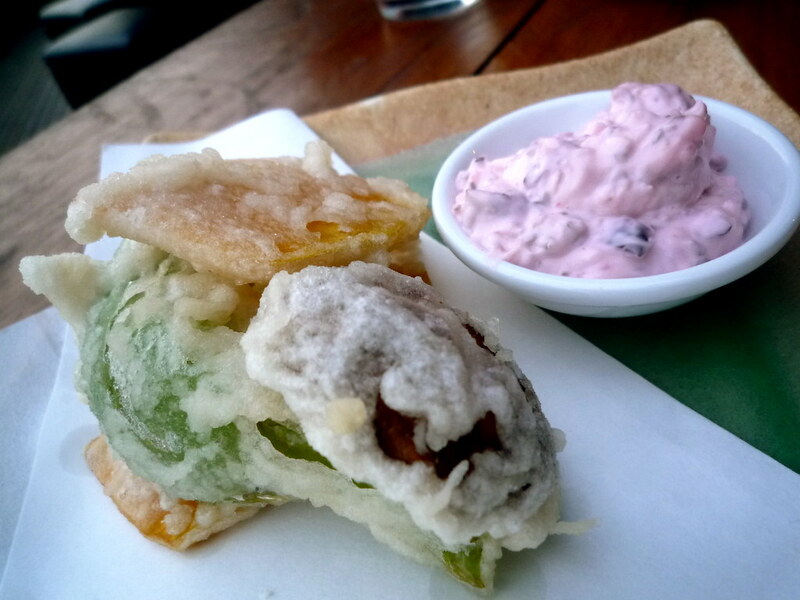 Whilst it may be unfair to expect all tempura to live up to the Tempura Hajime gold standard, the tempura batter was lumpy and the tartare (tinted pink from pickles) didn't quite work in our opinion. 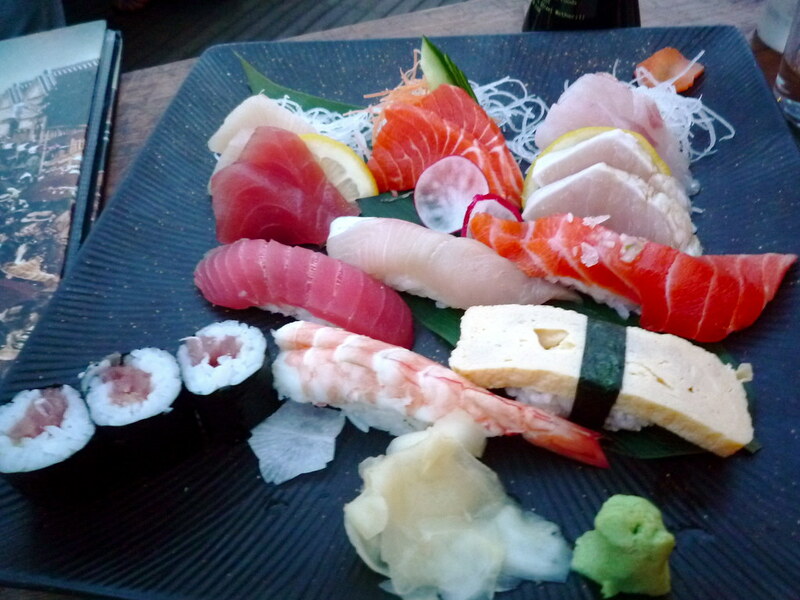 But fear not, all was forgiven with the small sushi and sashimi platter ($30). Sashimi highlights included kingfish, hapuka and swordfish. 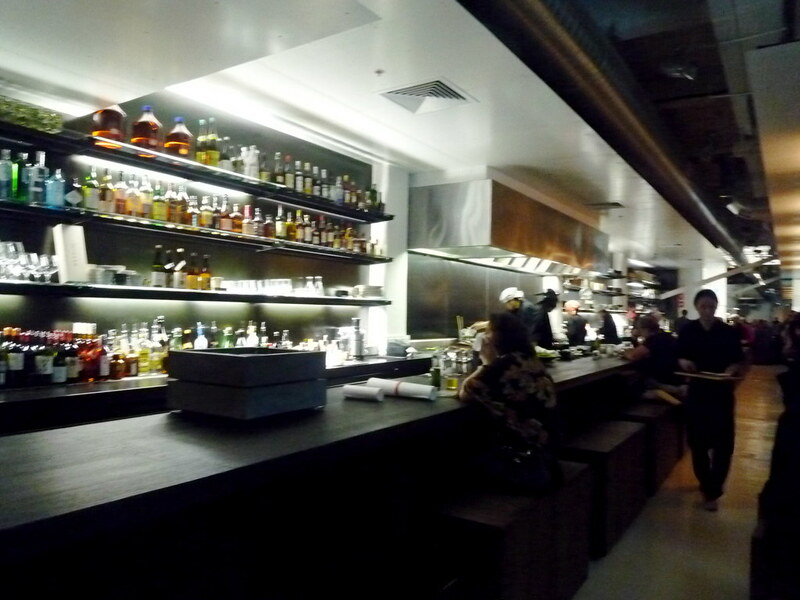 Which brings us to the newest and trendiest of Melbourne's izakayas, Izakaya Den. It's the latest baby of Simon Denton (of Verge fame). 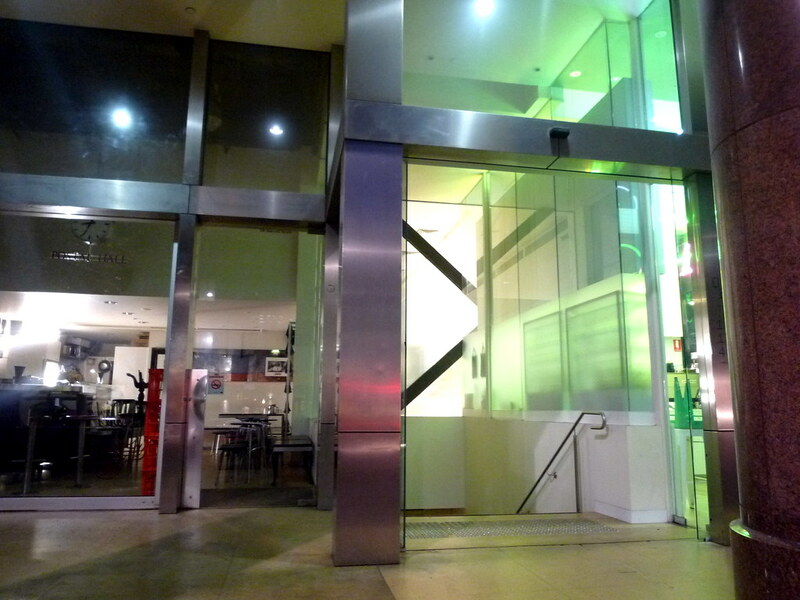 The Emerald City doorway next door to Russell Street cafe Postal Hall leads down to the stylish underground bunker where the izakaya is located. 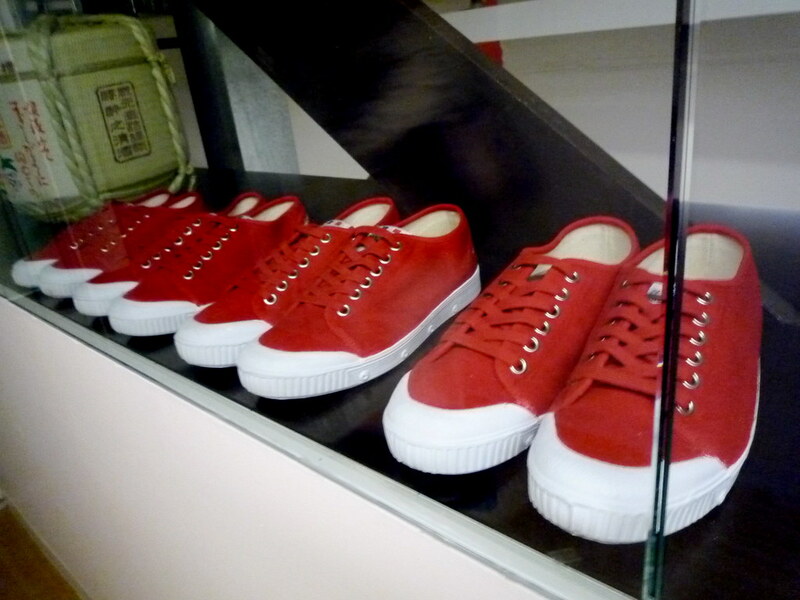 A row of red sneakers on the way down to the bunker. All the staff wear red sneakers. 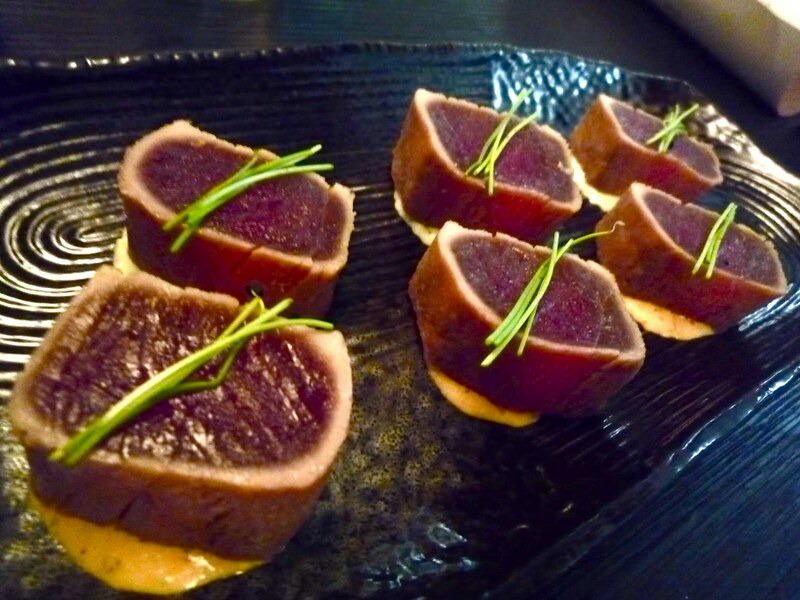 IF YOU ORDER ONE DISH AT IZAKAYA DEN: I implore you to make it the spicy tuna tataki with garlic soy ($17). It's thick and fresh and sensational. 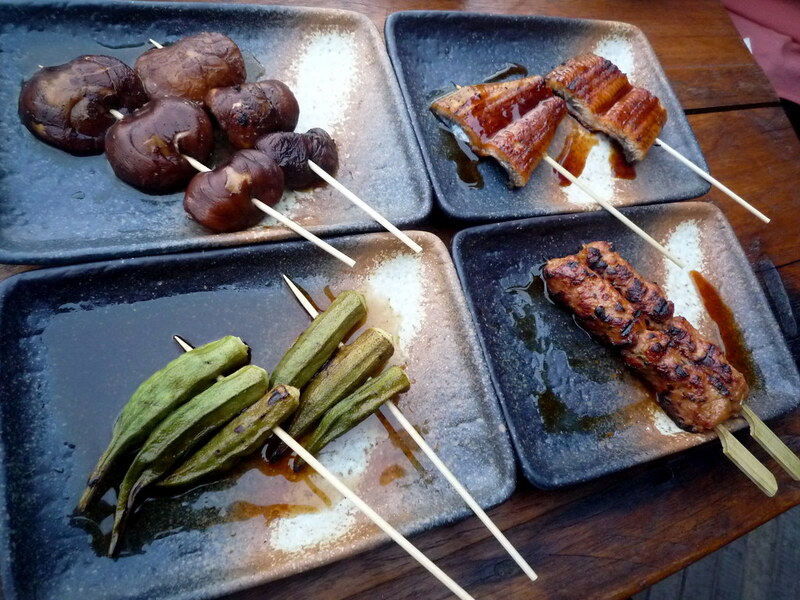 On my second visit to Izakaya Den, we ordered two serves. We were THIS close to ordering a third serve. 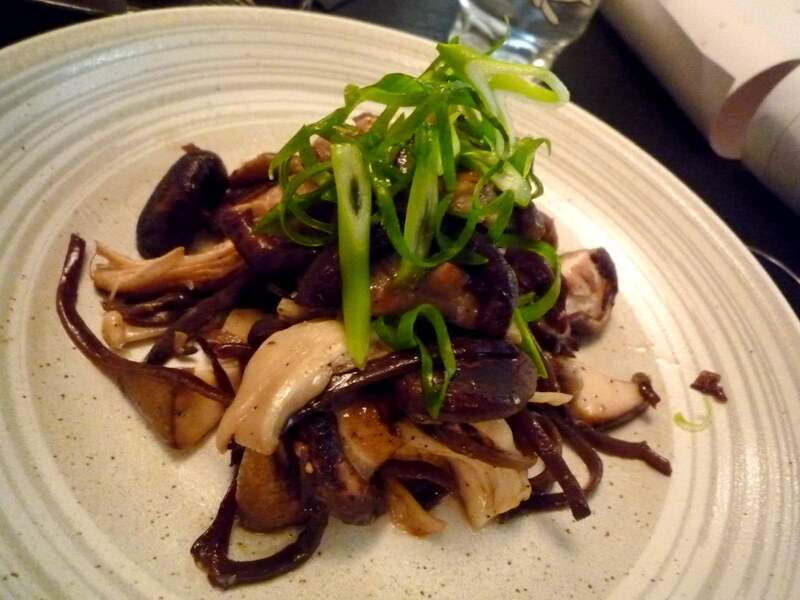 I loved the sesame stir fried Japanese mushrooms ($15) almost as much. Another must-order dish. We were a little underwhelmed however with the steamed eel with rice wrapped in bamboo leaf ($8), which was overly dry and nutty. Give me yum cha sticky rice any day. 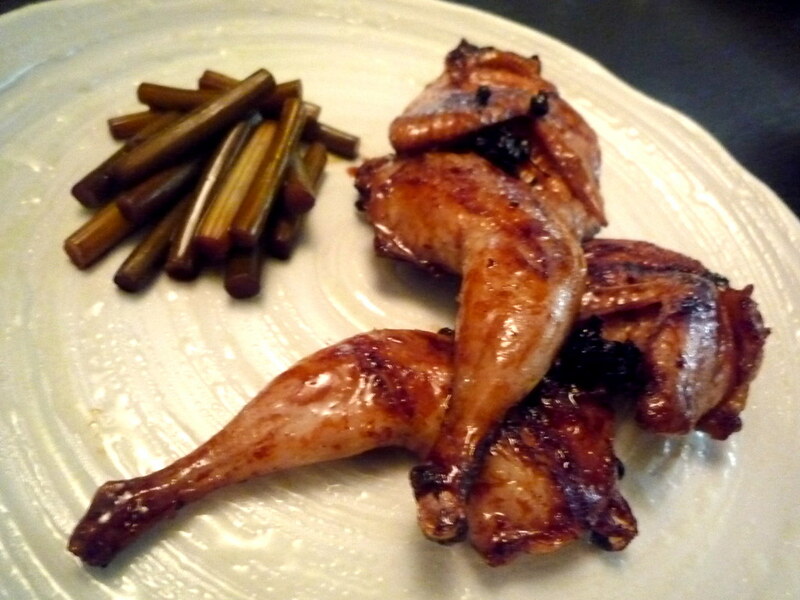 But we loved the jumbo quail with sansho pepper and garlic chives ($16). 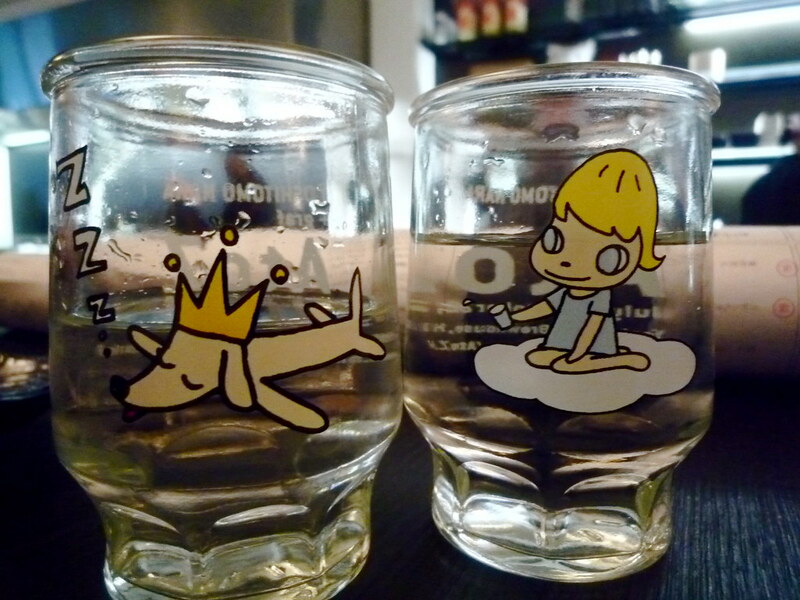 My disappointment at finding this izakaya's menu similarly bereft of yukke was lessened by these adorable Yoshitomo Nara water glasses. 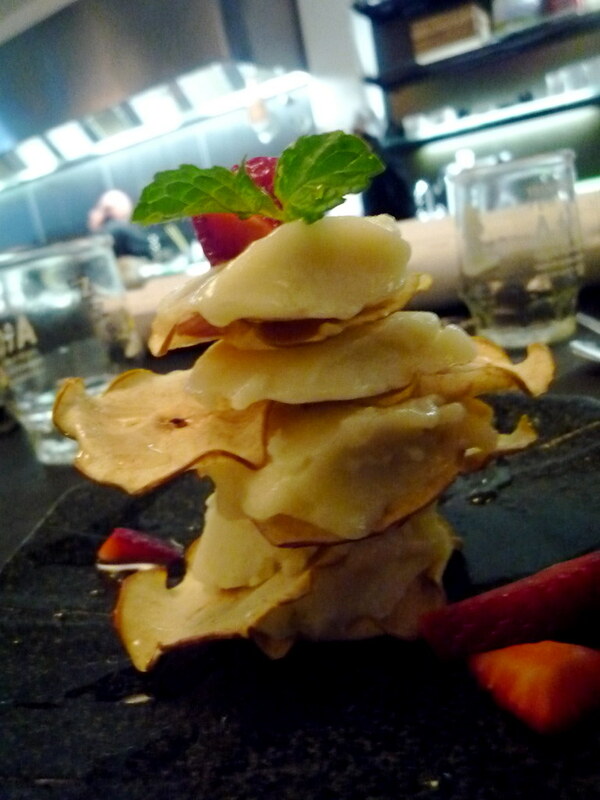 Finally, best-friend-K and I liked the sound of the Fuji apple millefeuille ($10). We were expecting something made with pastry and crème pâtissière, so were surprised to see this precarious creation placed before us: layers of dried apple slices interspersed with bricks of delicious apple gelato. Oh, and the other izakaya that I can recommend (not written up here because I already wrote about it in March) is Maedaya Sake & Grill, in Bridge Road Richmond. The grilled asparagus spears wrapped in pork belly are CRAZYTOWN! 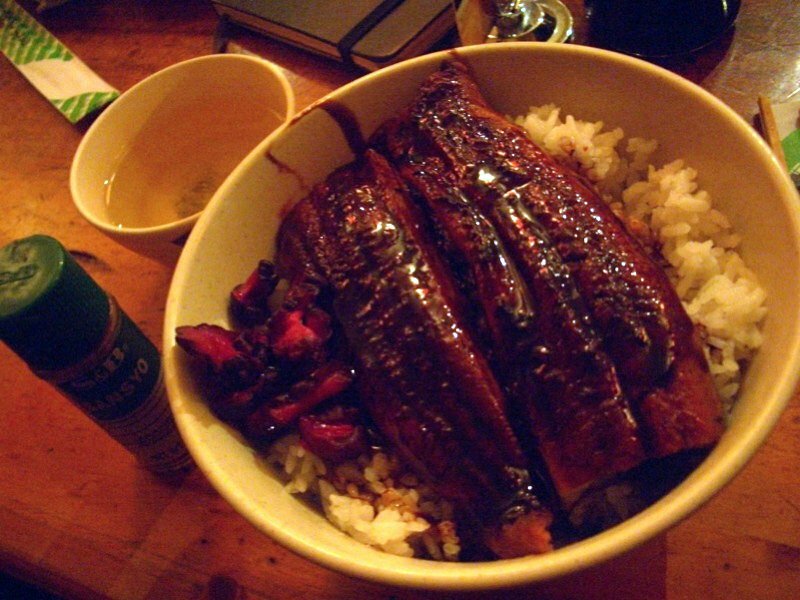 <3 Izakaya Den. I also had the apple millefeuille and it was delicious... we also tried two other desserts, one ice cream one (green tea I believe) and the ginger creme brulee, both were delicious, especially the creme brulee. Big fan of the tuna tataki and the mushrooms too. My dining partner and I tried the Kara Age which was the best I've had, and the asian greens which was very nice. 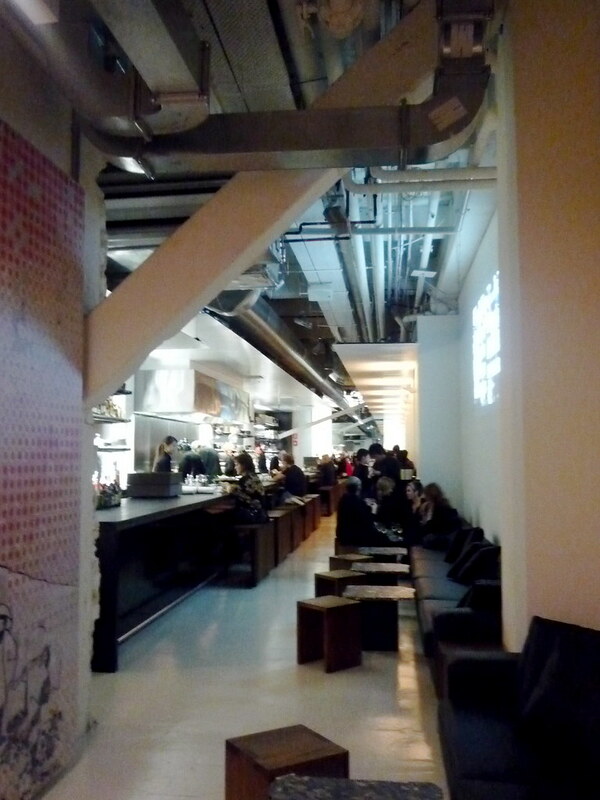 Had some great cocktails there too (including a Sake Mojito) - thoroughly impressed with the food and service quality. Prices are pretty good considering what's on offer. If you go back to Ichi Ni, try the Ebi Mayo - it's very good. "those prices are a fkn joke no? fkn impossible! 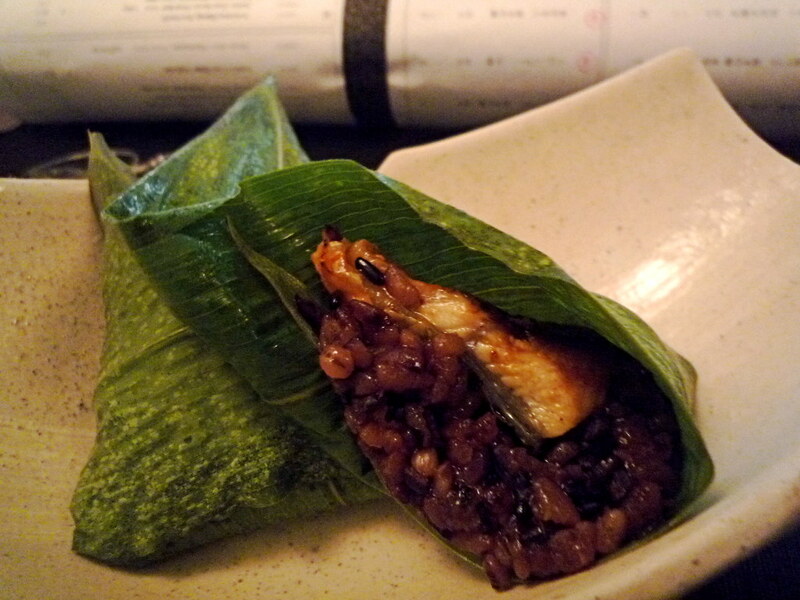 the ingredients look/seem delicious but it doesn't feel like an izakaya at all." I went to a fair few Izakayas in Japan and they certainly weren't much cheaper than the ones here, but I guess it depends at what Yen conversion you're looking at... when I was there the dollar was around 65 yen. A great post. I love Japanese food and am ashamed to say that I have not been to a single izakaya in Melbourne - I get suspicious that 'small plates of food' translates to 'small plates of food at high prices'! I might start from the cheapest and work my way up. 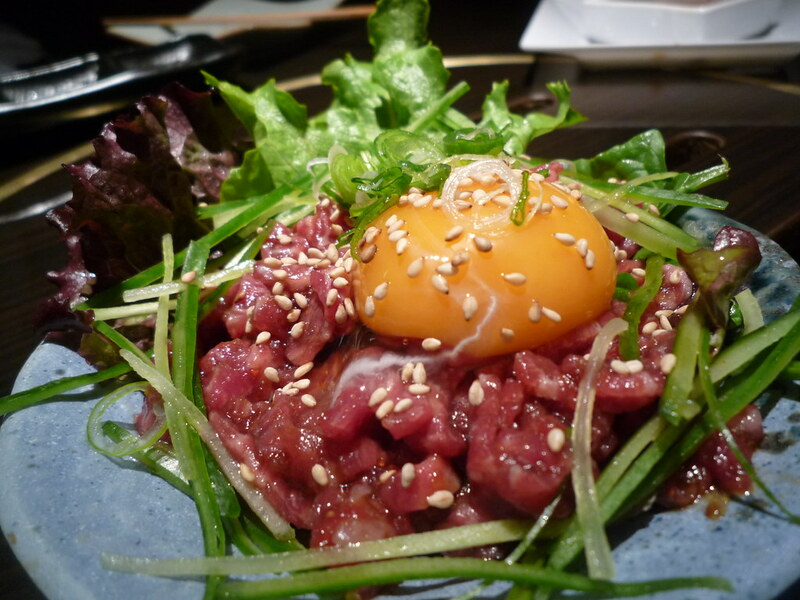 A lot of great izakayas that I must try. 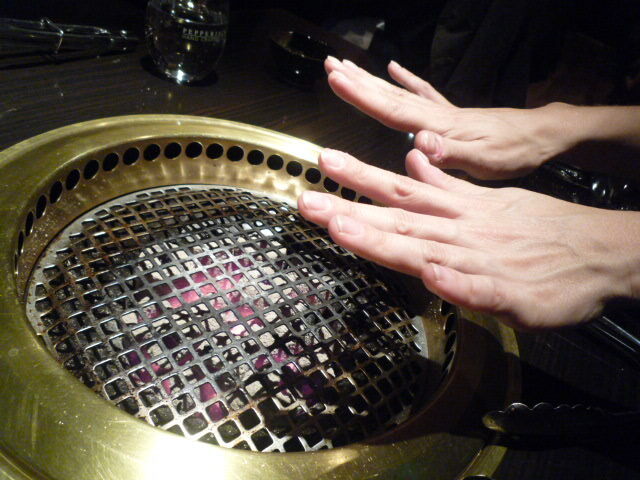 The best yukke I've tried is at Horoki. Their sauce is just sublime. 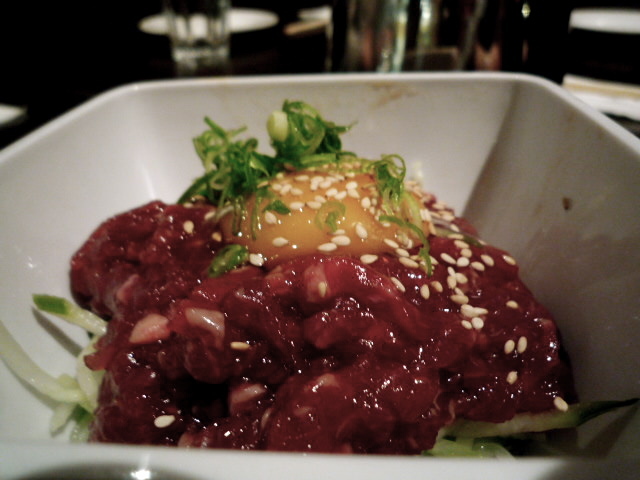 Also, they use a quail egg, which just adds a special touch to the dish. Thanks for your insightful comments Miles. 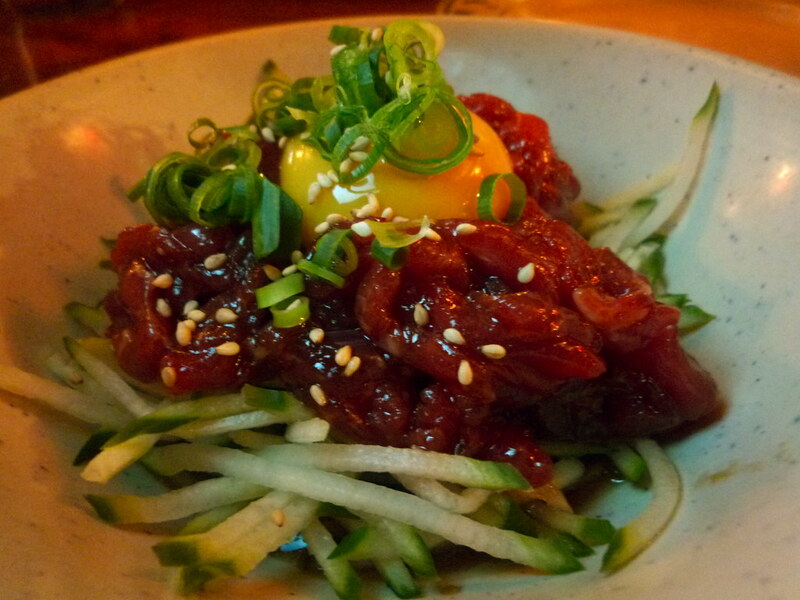 I tried the Kara Age when I went back to Izakaya Den the week before Christmas, and was suitably impressed. 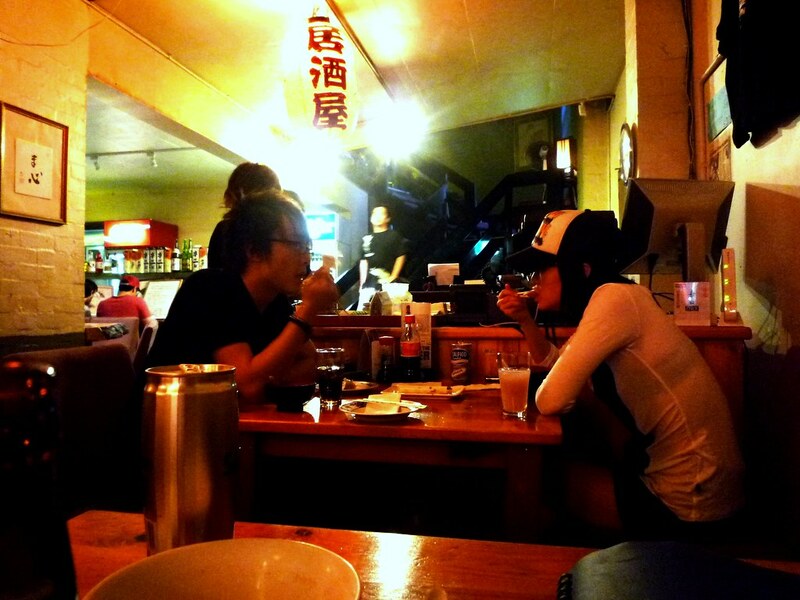 Let me know what you think once you try an izakaya or two, Joyce! Thanks Thanh! 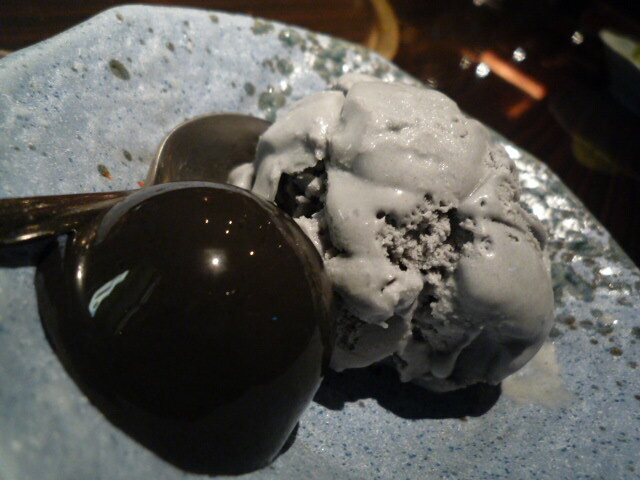 I haven't been to Horoki and thank you for your reminder - now I remember reading about their yukke on your blog. 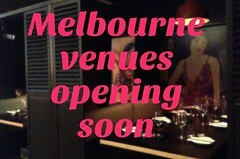 Am very keen to go there and try it now!